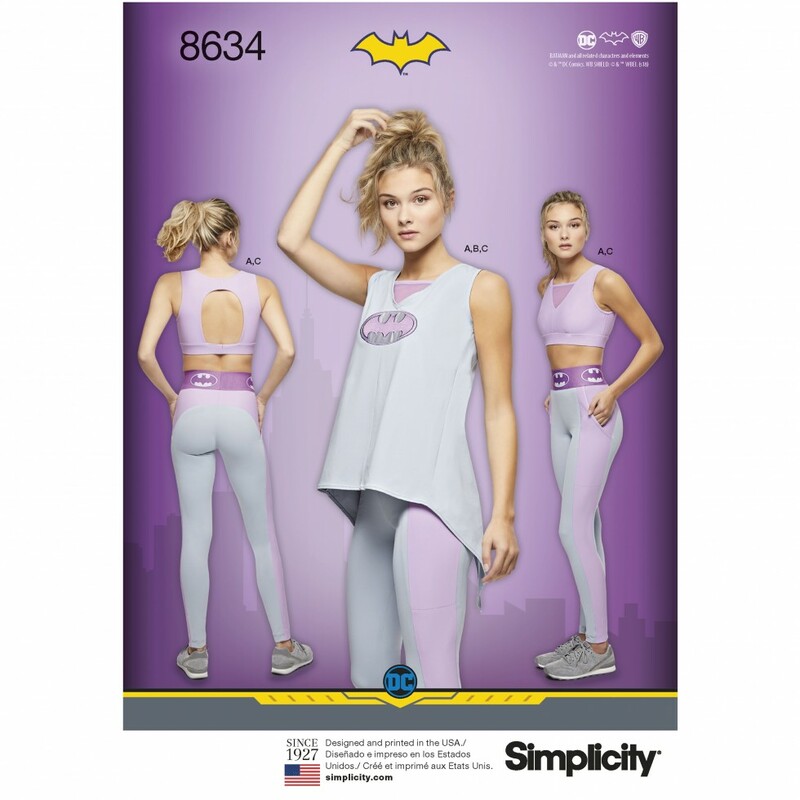 DC Comic superhero Batgirl inspired athleisure wear. Pattern includes leggings that feature an elastic waistband; perfect for elastic logo trim. Sports bra in sizes A G with bra band sizes 30 44 and V neck tank top with open back vent.